Make sure you are in compliance with FM Global's requirements for cooling loops on diesel engines. FM Global Approval Standard 1333 was updated in 30 Nov 2013, but compliance was not required until 1 April 2015. Clarke Fire has an excellent write-up on their web page that you can find here. But, we wanted to summarize the key requirements. 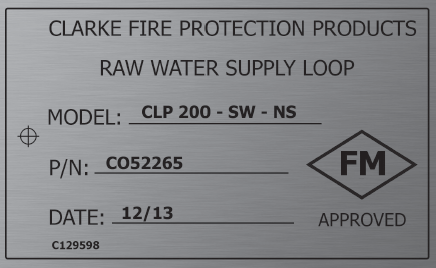 FM Approval - Cooling loops are now required to be approved and therefore they will have the FM logo on a nameplate. Low Raw Water Flow Alarm - This switch is set to activate at 75% of the required flow rate. High Raw Water Temperature Alarm - This switch is set at 105F (40C).